Whilst Democrats and Progressives were busy looking for arguments to continue their relentless protest against US President Donald Trump’s Supreme Court nominee Judge Brett Kavanaugh, they probably won’t tell you what he did the day after being nominated for the highest judicial honor in the nation. 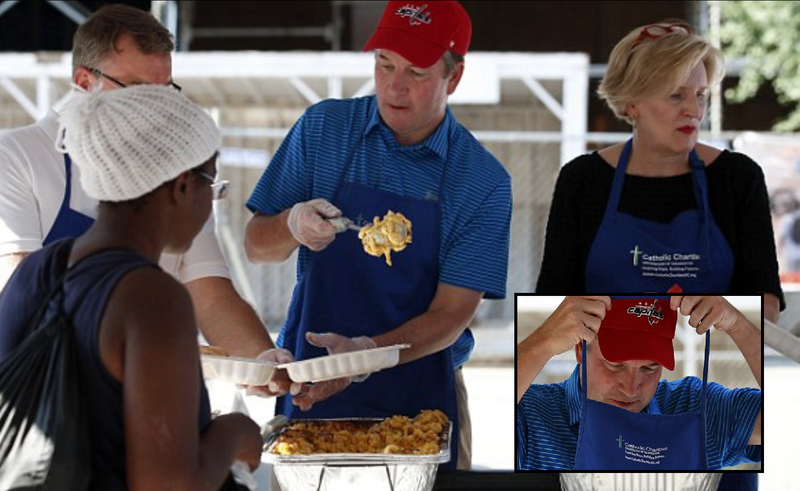 After meeting senior lawmakers on Capitol Hill just ahead of his confirmation hearings, which promise to be grueling, Mr Kavanaugh was caught red handed by the cameras, as he participated in a volunteer program with St. Maria's Meals so he could help feed the homeless and needy. Already during Monday night's acceptance of Trump's nomination, Mr Kavanaugh had stated he would be 'a man for others,' thanks to his Jesuit high school education. In the pictures, Judge Kavanaugh could be seen serving meals to the homeless outside of Catholic Charities in downtown Washington, D.C. A fellow volunteer confirmed that the judge had signed up for the event before being nominated and still decided to honor his commitment. His Washington DC Circuit Biography already mentioned that St. Maria's Meals program often can count on the services of the judge. The vetting process of Mr Trump’s SCOTUS nominee has meanwhile already started in the press, where it was stated that Mr Kavanaugh has ‘modest’ means as the federal only has two investments, including a bank account, together worth a maximum of $65,000, along with the balance on a loan of $15,000 or less. My type of person. Money is nice but it doesn't make you happy. God Bless him and family. He knows who he is. Who God is. Oh my gosh!! this guys an animal feeding the homeless here in the US? he should be shuttling illegals across the border if he wants the libretard confirmation votes. KeK!